Literacy is not a luxury. The first question for our June Ninjas is a hard one, for sure. Please feel free to share your thoughts in the comments, especially if you’ve ever had to deal with a similar situation. Ever have a care taker SPANK a kid during Story Time?!? Any advice on how to handle it? I really couldn’t believe it, and the kid wasn’t even being all that bad – just a little squirmy. The caretaker had already interrupted the entire group several times by loudly chastising this kid for not sitting still, so when the spanking happened I just quietly suggested to the little boy that I knew he could do good listening and maybe he’d like to move his carpet square a little closer so he could see better. I didn’t want to give more attention to the caretaker’s bad behavior, but I was so shocked I wasn’t sure what to do! The adult who spanked the child in my Story Time was his grandmother. It was one firm swat to the seat with a strict command to “sit down!”. She was very frustrated with him for being wiggly. I agree, no spanking is ever appropriate, but this incident is really not something something I would call DCFS over. They have been coming to my Preschool Story Time all year and although I have seen her be upset by his behavior in the past, I have never seen her snap like this. Were the offender a nanny/babysitter I would definitely let the family know, or if the spanking was severe there would be no question of what to do. This was a good-old-fashioned-spank that rocked me more than it did the kid being spanked. I didn’t know what to do with the rest of the kids looking on in utter shock or what to do to with the kid – who was no longer wiggly. Do you just move on with the program? Distract and divert? I would stop what I’m doing and put on a song that everyone knows so they could do the movements themselves. I would ask to speak to the grandmother outside of the storytime space alone. I would tell her that if she feels her grandson’s behavior is not appropriate for storytime she can feel free to leave the room and take a break and return when she felt he was ready. I would then inform her that there are clear state standards for abuse and she should be aware of them. I reviewed my Department of Children & Families state standards to answer your question. In my community spanking is considered a form of abuse. If this happened in my storytime there would be multiple calls to the state about this incident. Just so you are aware: School officials are legally mandated to report child abuse and neglect, and we as children’s librarians fit into that category: any other person who, in the performance of his or her duties, has regular contact with students and who provides services to or on behalf of students enrolled in (i) a public elementary, middle or high school, pursuant to a contract with the local or regional board of education”. In my state we must report within 12 hours of the incident. I dread having to ever face a situation like this– I come from a personal history of abuse and domestic violence so this kind of thing is very triggering for me, and if faced with it, it would take a lot for me to maintain my composure (which I would). Unfortunately, I do think it matters if this caregiver is a parent or someone else. We cannot dictate to parents how to discipline, and sadly “spanking” is still considered by many people to be innocuous. How severe was the spanking? was it a quick swat? In MY opinion, NO spanking is okay, but sadly this is often not the common view. I would definitely inform my manager about the incident, and at the moment of crisis I would address it as an issue of causing a disturbance for the other program participants. I would say that kind of discipline is disruptive in the library, and say if you would like alternative approaches to toddler/preschool discipline, we have materials available. If this continued to happen, I would again talk to my manager. I would strongly suggest calling the police/DCFS, but would ultimately leave the decision up to people above me. I will definitely stress that toddlers roaming around, not paying attention, etc, is perfectly normal and does NOT bother me one bit. I only am concerned if I feel a child isn’t safe. I might also talk with the caregiver privately and try to suggest different discipline strategies for toddlers. Honestly, I probably wouldn’t do anything at that moment. I would just move on with my storytime. I’m going to echo the sentiment of the other ninjas and say that while I don’t condone spanking, unfortunately a lot of people do. However, if the spanking becomes a repeat occurrence, then I would have a conversation with my supervisor/director and/or the grandmother. In the asker’s clarification, they talk about what they would do: “Were the offender a nanny/babysitter I would definitely let the family know, or if the spanking was severe there would be no question of what to do.” I echo their sentiments and would handle it exactly the same way. Based on the description of the spanking, I don’t think it warrants a report to DCFS. Do you have a question for any or all of these lovely ladies? Submit it here. Kim Alberts is a Youth Services and Emerging Technologies Librarian at the Hudson Library & Historical Society in Hudson, Ohio. She has worked in different types of libraries, from rural to urban, since 2008. Currently, she works alongside an awesome children’s and teen staff of 7 and does everything from Lapsit Storytime to Anime Club. Kim is a baby and toddler time guru, though she loves and has done storytime for all ages. She would be lost without her Rabbit in the Hat puppet. 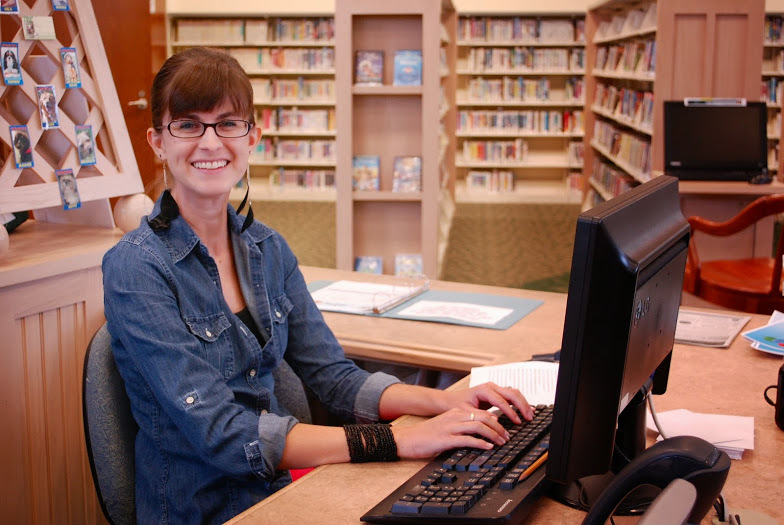 Julie Jurgens has been working in libraries since 2006. Before that she worked in the field of early childhood education for six years. Her current job title is School Services Coordinator, but at a previous library she spent four years as the primary story time provider for kids birth-2nd grade. Capturing and holding the attention of rambunctious toddlers, antsy preschoolers and disinterested parents is her specialty. She also loves to refresh and revitalize stale programs, such as spinning Toddler Time into Mini Movers and revamping Preschool Storytime into Beginning Readers Storytime. You can find her at himissjulie.com, @himissjulie, and tumblr.com/himissjulie. Lisa Shaia has been a programming ninja for babies-teens over the past ten years. 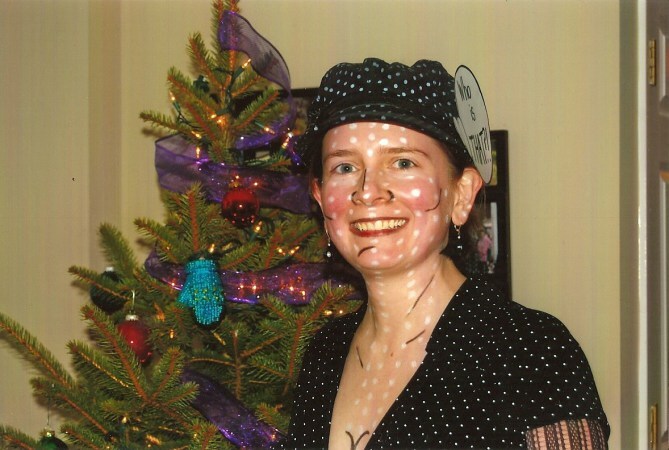 She currently works solo in her department, but in a previous position was in a supervisor role for a children’s department of five. She blogs at thriveafterthree.com, and has just published a book with the American Library Association called After-School Clubs for Kids and is extremely psyched about it. She setup a twitter account and is still learning and figuring it out over @thrivethursday. This is last Ask a Storytime Ninja for May, which means we bid adieu to this month’s featured ninjas, with a HUGE thank you for their hard work answering questions. THANK YOU May Ninjas! I’ve been doing storytimes and school-age programs for a while now, and they just don’t feel particularly challenging anymore. I like being challenged at work. 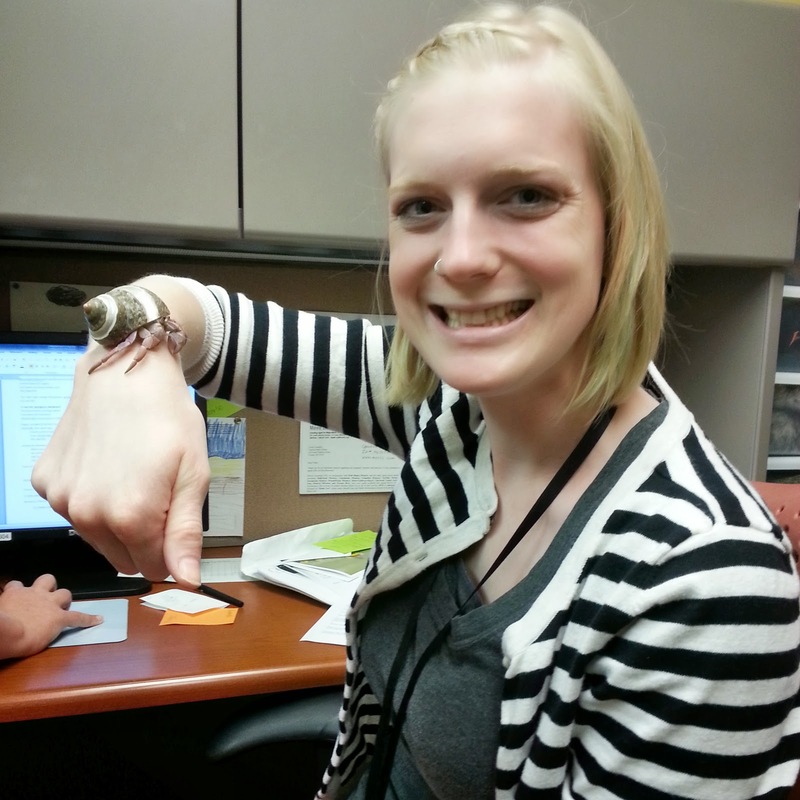 How do you keep things new, fresh, and interesting for you as well as for program attendees? Yeah, probably not a good idea so maybe read on. I think this can happen to us all. Do you ever give yourself a break with a couple weeks off from programming? That may help things to seem fresh and new when you come back. Another idea may be to set individual challenges for yourself. Can you design a storytime using an entirely new theme or new books? What about adding sign language or a new musical instrument (either that you play or that the children can play)? If there’s a craft component, can you switch from product based crafts to process based crafts? In your school age program, maybe try a program about something new and “trendy” that you don’t know much about. I did a Ninjago program earlier this year after hearing positive things from other librarians and seeing those books fly off the shelves. I knew nothing about it, but did some research (AKA watching an episode or two) and had a very fun time and successful program. Good question! I haven’t gotten to that point yet because I’m pretty new to the field but I can definitely see where you’re coming from. I think we are in great positions to constantly be challenging ourselves and trying new things. Every time I look at blog posts by other children librarians doing something extra cool that I hadn’t thought of before I am reminded that there is always something new and interesting to try out. By doing this I hear about other cool programs that people are doing and their success and failures. Maybe you could check out some of the blogs on the Storytime Underground sidebar and just look around for some fresh ideas? If you have a pretty regular schedule of events each week than maybe you could switch it up and go on a storytime break and introduce a STEM related preschool group or a baby storytime if you don’t already have one. For the school-age kids you could even ask them something they might like to try that you hadn’t thought of before. I really like what Danielle said about challenging yourself to try new things. One thing that I like to do to up my creativity and get my thinking when I get sick of planning storytime’s is to try to think up my own songs and rhymes that go with the theme! When things start to feel stale to me, I try to shake things up a little bit. I might revamp my baby storytime and choose new songs and activities that’ll be repeated each week). Or maybe it’s time to add a new element to your programs – add STEM components, take up the ukulele, learn rhymes or songs in another language. If you have the opportunity to attend another librarian’s programs, I’d recommend that, too. The blogosphere is great for finding storytime and program ideas, but being able to see and hear new stories, rhymes, and activities is even more inspiring to me. While not adding challenge, I’ve found connecting into the larger storytime/programming network on blogs, Pinterest, and Twitter has kept me more engaged and fresh, as there are so many great ideas out there that I want to try, too. Sometimes though, when I want a challenge, I just make one for myself. One time, I decided I needed to introduce more world languages into my baby storytime, so I researched the justification, and then had a new world language rhyme every month (so we’d all have 4 weeks to learn in together before doing a new one.) (Also, I highly recommend it. It was really fun, I learned some GREAT rhymes/songs and it can be a really good way to engage your ESOL patrons, by having them teach you a rhyme or song.) Sometimes I mandate that I *have* to do a new rhyme or song every storytime. A little over a year ago, I decided to learn how to play the ukulele and use it in my programming. Some other challenges that would be good for me are to use more puppets (I’m not that comfortable with them, so I don’t use them. It’s a skill that I could learn) or to make and use more flannel boards (maybe a new one every month or week) or I’ve stagnated a bit on the uke front– I really need to learn some more songs. The latest installment of Ask a Storytime Ninja is here! And just in time for Summer. How to plan for summer storytimes which will be at the same time my preschool during the year times are, but may include preschoolers and older siblings or school aged kids for the summer. Can I still include songs? But not the flannelboard? I’m new to this and could use any advice! What a great question—I think this happens a lot during the summer! Yes, I would definitely include songs. I find that many older kids respond really well to dancing and using musical instruments, especially if you get really enthusiastic and into it. Flannelboards could definitely still work as well, especially if you use them to tell longer stories. When I’m doing a storytime with lots of different ages, I try to ask lots of varying levels of questions (reminding the older children to let the little ones answer too, as necessary). Other things that have worked well at my library include shadow puppets and letting the older children be your special helpers. Having them be helpers works especially well if you don’t have very many older ones in a particular storytime. Something that will also work really well this summer, especially if you’re doing the Fizz, Boom, Read program, is doing experiments during storytime. All ages can be fascinated by your homemade volcano and you can give the older kids some great science information too! Do any of you have more to add? How do you prepare for those older kids in storytime? Feel free to share in the comments! Don’t forget to check Flannel Friday for some ideas for longer flannel stories. Welcome to the second May installment of Ask a Storytime Ninja! Want to be a featured ninja or have a question for our ninjas? Go here. Think this month’s ninjas missed something? Share in the comments. How do you deal with parents or grandparents who will not deal with a child who is screaming or running around often during storytime. The screaming is the biggest problem, even had other families complain about this behavior. Storytime is advertised as 3-5 yr olds and most this behavior is younger siblings, but I have a couple families where it is both the age appropriate and younger. Do you say anything while it is going on during storytime or address it only in private after? From Abby: I have had this situation and it’s definitely a tough one. One thing that might help is making a general statement to your whole group when you start that if your child becomes distracted or becomes a distraction to others, please feel free to take them out for a little break and come back when they’re ready to try again. This gives adults permission to “interrupt” and take their child out or to leave the room knowing that you won’t take it as an insult. If it’s a recurring problem with the same families, I would talk to them after storytime and see if you can brainstorm some solutions together. You and the parents/grandparents both have the same goal – a successful early learning experience for the children in your program. From Meagan: I had a family like this at my previous job and it really became a huge problem. I know of some librarians that have called families outside of storytime just to say something about a child’s behavior but that really isn’t something for me. What I did what got a puppet, Stanley, and had Stanley tell the rules for storytime. Stanley also told the group that if anyone is having a bad day or storytime isn’t working for them then they are more than welcome to step outside and try again another day. I think if you just give that option to parents/caregivers it really makes them feel better about having to step out. If a child is screaming and running around and the parent/caregiver still isn’t’ doing anything than I would recommend just asking them to step outside so that everyone can enjoy storytime. I know it seems scary and mean but it is really distracting to the other kids and families and then they aren’t getting the most out of storytime. I really think the most important part is being comfortable– I wasn’t comfortable with the calling but felt better when I used Stanley to help set ground rules. Do what is best for you! Jennie asked for some clarification and her following response is based on this additional information from the question asker: This is just screaming to be screaming, especially if grandmother touches the child or tries to corral the child or asks the child to do anything the child does not want to do not at all crying-screaming and in a large room so it really echoes. The storytime when I finally spoke up and asked her to please take the child out to the hallway until the child is under control is advertised as Preschool Storytime and this child is under 2 and it has happened in this setting 2x before and even when she came to the age appropriate storytime she screamed. And yes, I do an announcement of rules before each storytime (which are: I am aware children this age may wander, I only ask if they get in front of the flannel board or if the child is crying please feel free to walk into the hallway until the they are ready to try again) and this grandmother has heard this many times as she has been coming with an older one. I have had other families express concern about screaming and how much it disrupts and that they will not keep coming if this keeps up. The grandmother complained to my director and called a board member when I had finally asked her to please take the screaming child out to the hallway but we hope you will please come back in when the child is ready to. I wanted to have some advice from other librarians that have handled this. Jennie’s answer: Ok, hindsight being 20/20 maybe talking to them outside of storytime might have been more ideal, but I have handled similar situations the same way you did, especially because you’ve gone over all the rules at the beginning and it hasn’t had an effect. Because the grandmother complained, I would make sure the director knows everything you say here, especially the part about other families expressing concerns and how it may force them to stop coming to storytime. If the behavior continues, I would also ask the director to come and observe what’s happening. I’d probably also make a big show of introducing the director as a “special guest” so that the parents who see an issue with what’s happening can talk to him/her afterwards with their concerns about the screaming child. Welcome to the first edition of the newly revamped Ask a Ninja! By featuring a few ninjas each month we hope questioners will get more detailed and complete answers without these posts being TL;DR. If you think the featured ninjas missed something, please add your thoughts in the comments! Learn how you can be more involved in Ask a Ninja go here. What are good ways to get adults up and moving with children in story time during the movement activities? And do you ask adults to sit with their children? I know that would help but the tradition here is that kids sit in front close to me and adults hang in the back, sitting on chairs. I feel like I would dynamite to change this arrangement. Parent participation is something we’re still working on, too. A few things that might help: posting the words to songs and rhymes so that everyone can see them and sing/say along, including grownups when you pass out props like bells, shakers, etc., including songs and rhymes that are familiar to most people (this is something we pop in sometimes if parents are becoming distracted or chatty). Another thing I have heard other librarians do is tell the children to go get their grownup for the next activity. Grownups might be more likely to play along if their child is asking them to! We typically have kids sitting on the carpet and some parents with them and some parents in the chairs, but at my previous library we only set out maybe 1 or 2 chairs to accommodate folks that found sitting on the floor to be physically difficult. Usually when I start an action rhyme or song, I say “everybody on your feet” or “everybody, let’s get our rocking arms going” or something similar. If the adults aren’t participating I usually say light heartedly “everybody includes the grown-ups, too! Where else can you get away with being this silly?” That usually gets the kids to give their adults the side-eye until they start participating. If it’s an ongoing issue, I’ll work something into my welcome spiel along the lines of “today we’ll listen to stories, sing some songs, and move our bodies. Can everybody do my a favor and listen well when we’re listening and sing loudly when we’re singing and do all the actions when it’s moving time? Grown-ups, can you do me a favor and do the same because a little backup never hurts and makes my job A LOT easier.” I’ve found that wording it that I need help works really well. I have a few different ideas for you that can be used all together, or whichever ones you feel may work with your families. To get the parents up and moving, I would suggest using some storytime instruments for a few weeks. Try using scarves, rhythm sticks, whatever you have for at least one song during storytime and make sure to hand one to each adult as well. Hopefully, the adults will get the hint that it would be appreciated if they do their movements. If you don’t have enough to go around, William Janiak has a fantastic song on “Songs About Me” called A Piece of Paper. All you need is paper! As for sitting with their children, I would just be really direct and tell everyone your reasons for wanting them to sit with their kids (modeling storytime behavior or what have you). The next thing that I would do is cut back on the number of chairs that are out, if possible. Introducing the featured ninjas for May! Do you have a question for these four fabulous librarians? Submit your question here. 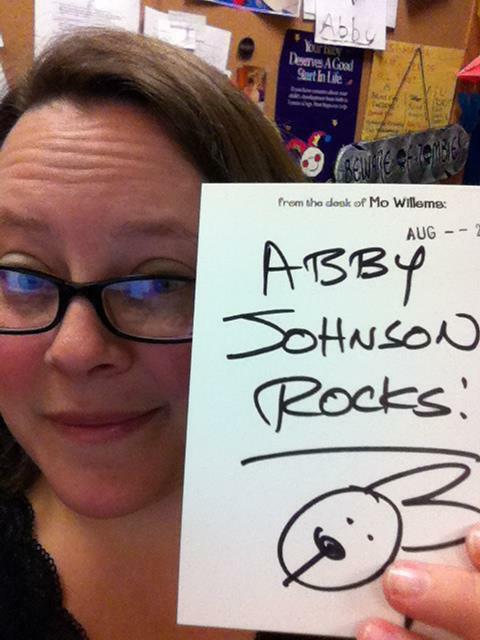 Abby Johnson is the Children’s Services Manager at the New Albany-Floyd County Public Library in Southern Indiana. 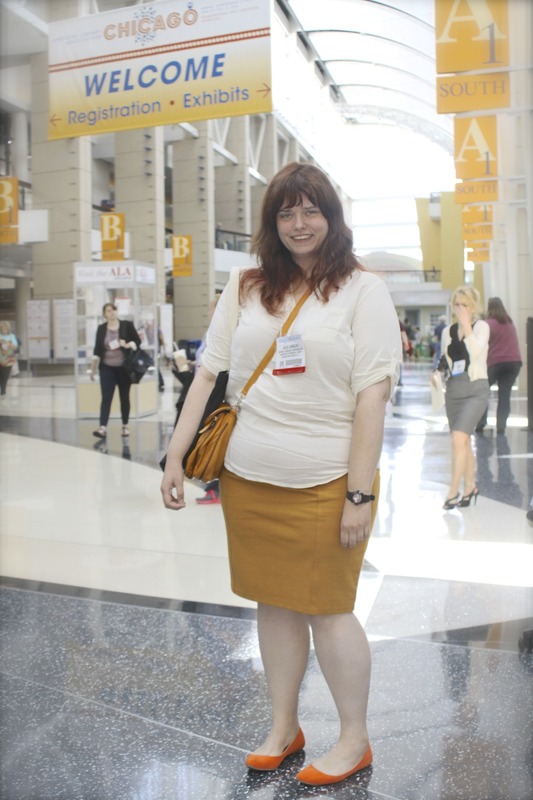 She has worked as a youth librarian since 2007. She’s done storytimes for a variety of ages, and currently plans and implements baby storytime and preschool science programs. She supervises a staff of five – three full-time and two part-time librarians – who offer storytimes for toddlers, preschoolers, beginning readers, and preschool classes. You can find her on the web at http://www.abbythelibrarian.com or on Twitter @abbylibrarian. Jennie Rothschild recently became the branch manager of a small branch in Arlington, VA, just across the river from Washington, DC. Before that she was a youth services librarian for 8 years where she did programs for newborns through high school. She has worked as part of a team and as a team of 1, she has worked at big branches and small, under-served communities and wealthy ones. She finds a spreadsheet to be her most useful storytime planning tool. 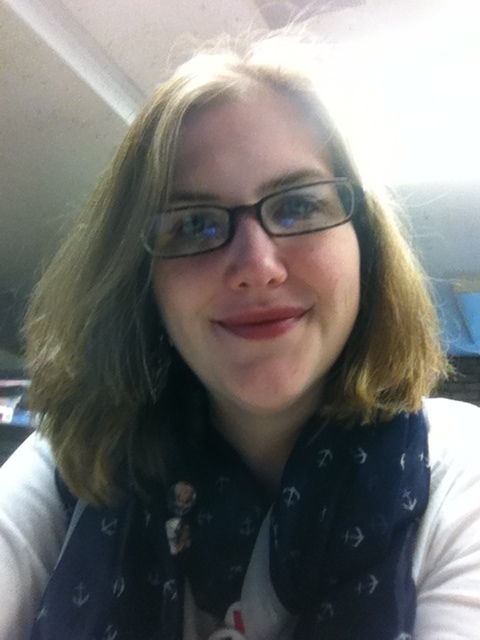 Meagan Schiebel:I am a new to the field children’s librarian working as the head of the children’s department in Connecticut. I am very new to this position (as in this is my first week) and it is my first time in a manager position! I am definitely still getting used to being the head of a team but luckily I am starting small with just 3 others in my department, all part-time. My expertise is early literacy. Toddlers are probably my favorite age group for storytime but I have also done pre-school, all ages, and am just starting to do baby storytimes. Thank you, Ninjas and let’s put them to work! This week I pulled my favorite question from Facebook, so far, this month. This just seems like the best problem to have. What would YOU do? Let us know in the comments! -At the end of storytime have everyone hug themselves (and you do it too) so they can all get a hug. It takes a while to work, but it does. Be patient! -Tell them you love them, too! -Say thank you. And follow up with something about how glad you are they came to the library. -Offer high-fives, not hugs, but if a child offers a hug, hug back (I try to either be crouched down, or facing slightly to the side, as the child’s height can put them in an unfortunate location otherwise), and a kiss on the cheek from children gets them a big silly mwah air kiss or I blow a kiss to them. -Show them how to say, “I Love You” in sign language (thumb, pointer finger and pinky finger up, two middle fingers tucked down toward palm). I encourage them to try it with both hands (this is harder!) and then I encourage them to find someone else in the room they love, and to say and sign “I Love You” to them (this takes the focus off of me, and puts it back on the children and their caregivers and is quite fun!). -If it happens during the program address it like any other I HAVE TO INTERRUPT TO TELL YOU ABOUT MY FROG issue. -Get caregiver eye contact to make sure everyone is OK with the hug, etc. We are going to shake things up a little with Ask a Storytime Ninja! Back before Storytime Underground was launched, and Anna suggested we have an advice column on SU, we loved the idea but the logistics were tricky. We gave the current method a try and while it has been successful in a lot of ways we think it can be even better. So, beginning in May we’re making a change. On the first Tuesday of each month 3-4 Storytime Ninjas will be introduced. Their expertise and any other pertinent information will be included. Questions from you will be directed to these Ninjas to respond to. 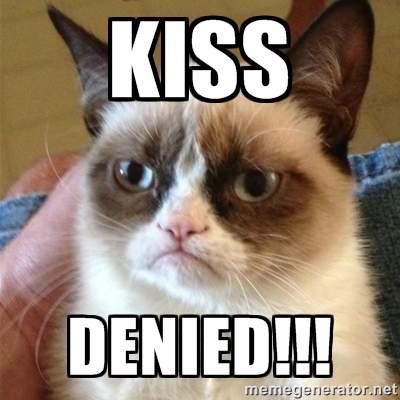 Answers to questions will be posted in subsequent weeks, in the style of Dear Abby. Ask a Ninja questions may still be submitted any time here. Would you like to be a featured Ninja? Sign up here. Also, Happy Tax Day! Here’s hoping not too many of your patrons come in looking for those endangered tax form species in the next few weeks. For their own sakes. There’s no shortage of wiggling going on in this edition of Ask A Storytime Ninja. I know you all have favorite toddler songs, so share in the comments! I, for one, am looking forward to trying out some of the suggestions below. Happy wiggling! Question: I am looking for new action movement songs for my Toddler class. I feel we are stuck listening to “Shake My Sillies” or “clapping” songs. What are other youth librarians favorite songs? Bridget (@bridgetrwilson): I use Greg & Steve’s “Can’t Sit Still” a lot. Easy to follow because it tells you what body part to wiggle. Danielle (@LibrarianDani): Georgiana Stewart has some great toddler music, such as It’s Toddler Time and Toddlerific! Kim (@librarylady2u): I love using the following songs in toddler time: “Tooty-Ta” by Dr. Jean, “Jump Up, Turn Around” by Jim Gill, “Bean Bag Rock” by Georgiana Stewart, “Milkshake” (w/ shaky eggs) from the the CD Songs for Wiggleworms, and “Tapping on My Sticks” by Kathy Reid-Naiman (w/ rhythm sticks). Natasha: A really fun thing that I picked up from another librarian in my system is to do the ABC’s several times, but to do a different action along with it – the first time we sing our ABC’s, then at the last verse I say “next time won’t you clap with me” and then we clap each letter as we sing it, the third time we jump, the last time we stomp, etc. It’s also a great time to remind parents of an easy way to make each letter distinct when they sing a song with one line that sounds a LOT like Elmo Has to Pee (LMNOP). Kendra (@klmpeace): For recorded music I like Kathy Reid-Naiman (We’re Tapping is a favorite), Coconut Soap by Frank Leto (have the parents help and use scarves for soap), and anything with a freeze or pause in it. For non-recorded you can see all my favorite songs and rhymes here. 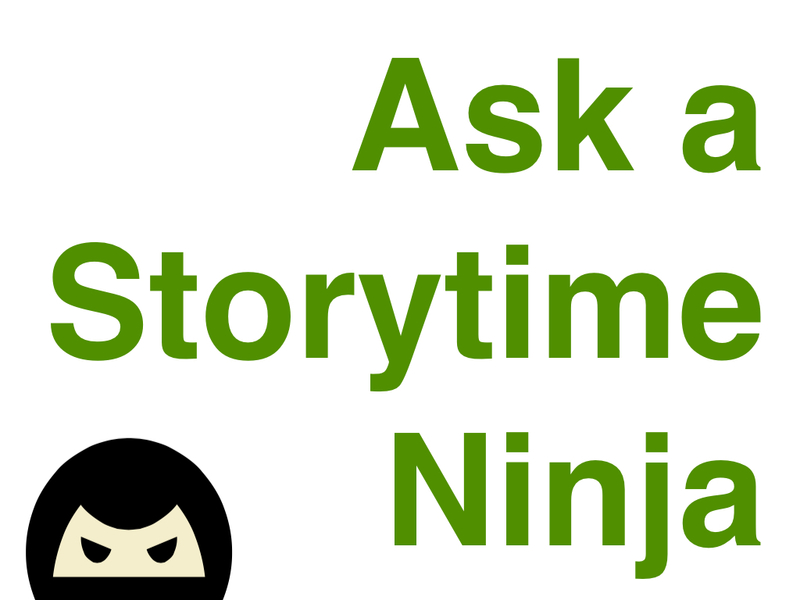 Learn about Ask a Storytime Ninja and ways to participate here. Have you seen great storytime content online? See the Guerrilla Storytime Map! Click on the image for the live map. Add Storytime Underground to your RSS reader! Enter your email address to follow Storytime Underground and receive notifications of new posts by email. Do you know a blog that should be listed here?